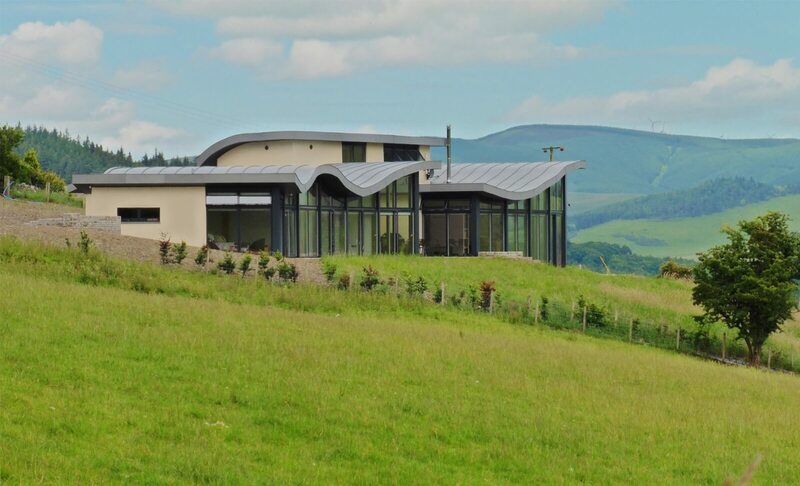 This new house is a sustainable, four-bed family home located in the Scottish Borders with open views across the Manor valley and the River Tweed. 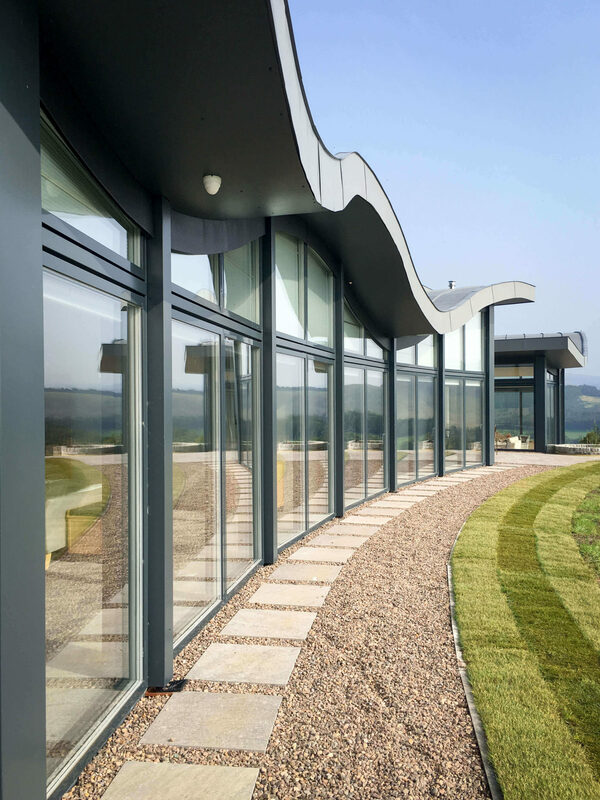 The site was bought by the client in 2011 and Aitken Turnbull were appointed to provide full architectural services from planning to completion following a small, private competition. The house explores the idea of innovative architecture through sustainable design. 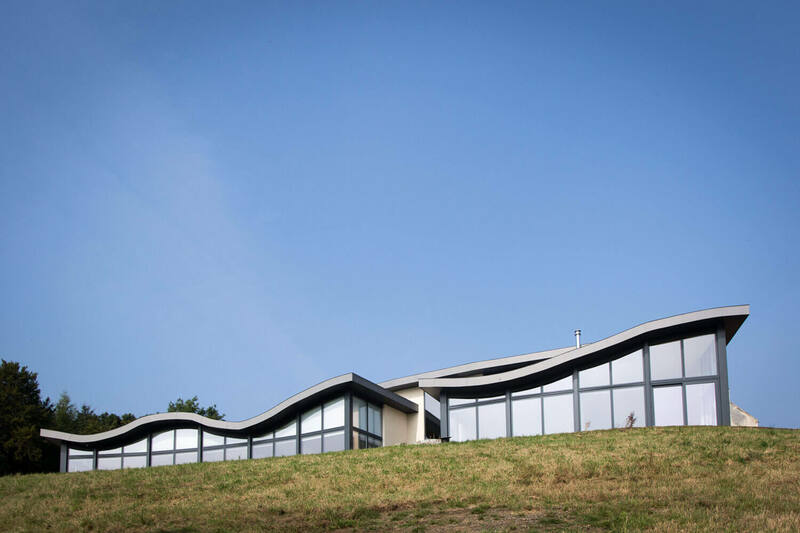 The narrow plan and contemporary layout maintains a low profile and is predominately determined by the landscape and contours, curving to follow the topography. Internally, the house also responds to the landscape through a split-level design. The bedrooms, located on a higher level are grouped together with bathrooms, dressing rooms and storage located along the northern wall. The open-plan living space is situated on a lower level with floor-to-ceiling glazing offering expansive views. 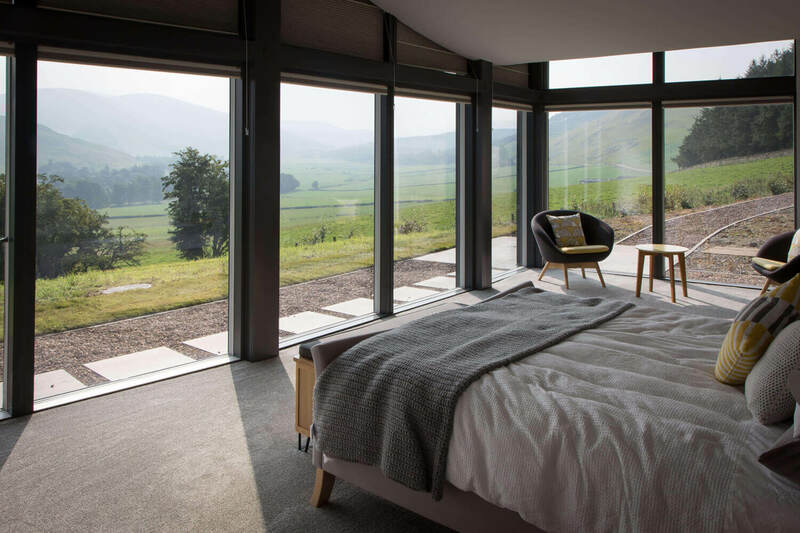 The eco-house boasts solid walls that protect the building from the cold north while expansive glazing exploits the southern sun. Furthermore, it is orientated within 15 degrees of due South offering 30% energy savings through passive solar gains. Externally, the timber cladding will allow the building to settle into and integrate with its surroundings. 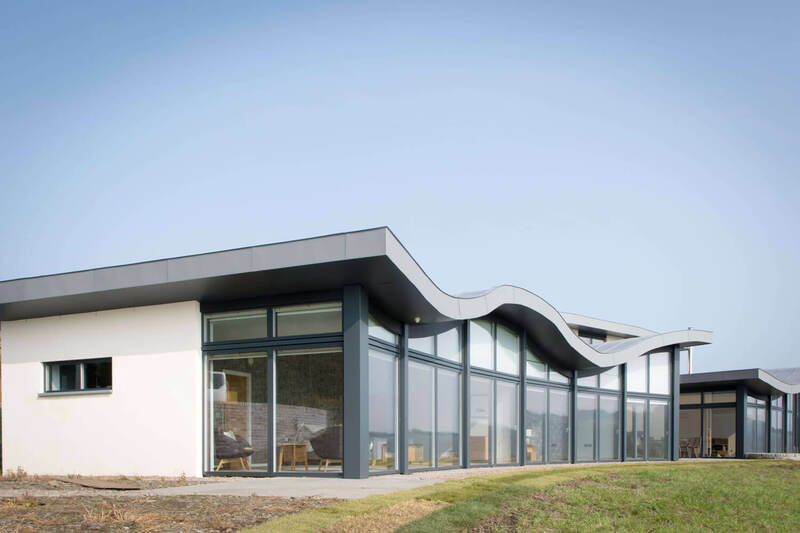 This project has won the New Building Residential Category in the Scottish Borders Design Award 2016.